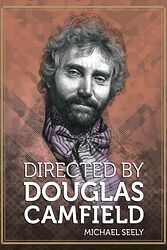 Note: Biography of Douglas Camfield, the prolific TV director best known to Doctor Who fans for directing several classic 1960s and 70s stories, such as The Daleks' Master Plan, The Web of Fear, The Invasion, Inferno, Terror of the Zygons and The Seeds of Doom. Douglas Camfield is still regarded as a master of his craft; a television director who made numerous memorable episodes of shows such as Doctor Who, Blake's 7, The Nightmare Man and The Sweeney. During his career, which spanned twenty years and 163 productions, Camfield worked on many popular and groundbreaking series of their day, such as Public Eye, Shoestring, Van der Valk, Z Cars and Paul Temple, not to mention many long since forgotten and lost productions. His work is frequently cited as the best of any series he worked on. Camfield passed away in January 1984. He was 52. Towards the end of his life, he recreated the past with the romantic chivalry of Ivanhoe and tales of honour in African deserts with Beau Geste. His productions frequently topped the ratings charts, including his final serial, Missing From Home. Told with help from his friends and family, Directed By Douglas Camfield is the story of a man who commanded the love, loyalty, respect and commitment from his cast and crews, how he overcome seemingly insurmountable hurdles, including his health, and who took risks with his career in order to achieve his goals.